Reviewer @ http://bookpassionforlife.blogspot.co... I'm a married mum with 2 grown up children, I have agoraphobia so I have a ton of time to read and that is my passion and I spend way too much money on books :) I love gossiping about books ( well gossiping in general ;P ) and find I'm usually easy pleased where books are concerned. My reviews are about the enjoyment a book has brought me, I'm not the grammar police - all I want is a HEA! 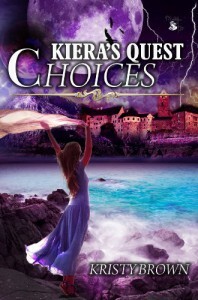 Choices is the final book in the Kiera’s quest series and what a finale it was! Following the ending of book 3 we find that a lot of time has passed and our characters are split into three groups; Zakk, Alex & Daz are in Zakk’s kingdom with the Witch Queen as prisoner; Uncle Tom, Maddy, Joe and the gang are all back on Earth and Kiera is missing, presumed dead. Kiera’s disappearance weighs heavily on the two groups with Uncle Tom sliding into a long depression, giving up hope of her ever returning even though he knows the vortex won’t open until the next leap year and taking on the guilt of her feeling betrayed and leaving in the first place. 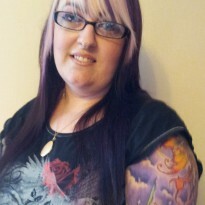 In Zakk’s group, he knows in himself that Kiera crossed back over and has been searching for two years to no avail, Alex feels it’s time for him to give up but he refuses, he refuses to believe that she is gone and lets himself go, only surviving to search for her and put his kingdom back together again. Meanwhile, Kiera is being looked after by a new race and having spent a lot of time in a deep sleep has awakened with no memories of who or where she is. As more time passes, they each realise that something needs to happen; on Earth, Maddy decides to be pro active and gets the gang together and into training for what the nest opening will bring. Zakk is aware that the Witch Queen wasn’t in their dungeons and is amassing an army that is spreading darkness throughout the realm, it is only a matter of time before she comes back and the battle will begin. When his ring starts to glow, it can mean only one thing – Kiera – and in a last ditch attempt, sends his best to find her, using the ring as a tracker – finally the puzzle pieces connect, the players are placed…. Let battle commence! This was a great book and I read it all in one go. These books have been so easy to read and very enjoyable with an awesome set of characters and an imaginative fantasy realm. It has been great to watch all of the characters grow into what they become – Kiera especially as she blossomed into a powerful young woman whose love for her family, friends and her home life have spurred her to vanquish the evil Witch Queen. We have seen her bombarded with threats & deadly situations, where she has found out some shocking secrets, mastered new found powers, found love and owned her ‘chosen one’ status right to the very end.